Love your imspiration, a gr8 guy card from a girly photo - brilliant! I like your take on the sketch - the pinstripe paper echoes the stripe in the shoe ribbon perfectly. Love the splash of colour too! Fun Card and nice to have one with a masculine theme! 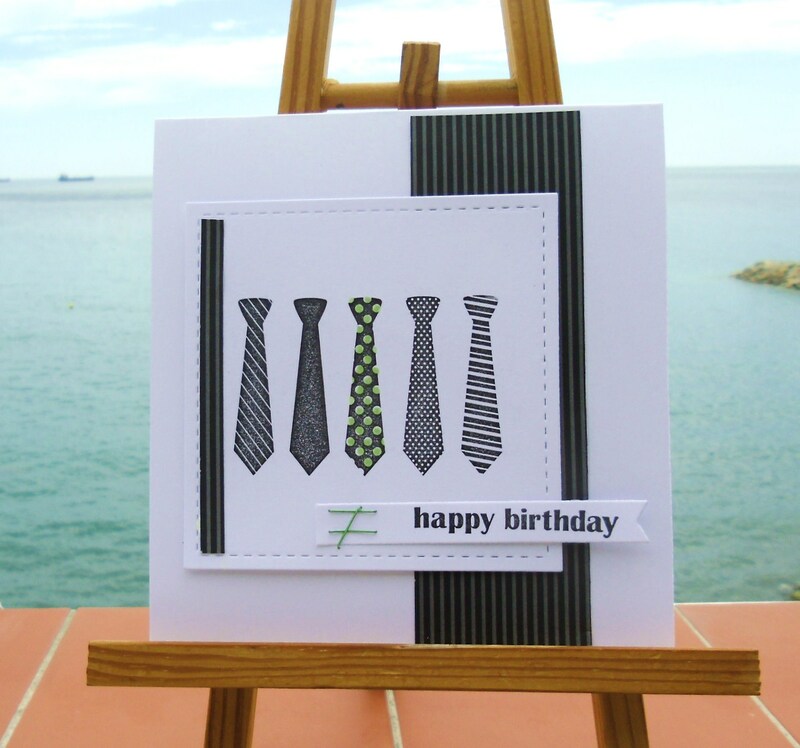 This is a great masculine card-who would have thought it was inspired by shoes! I have these stamps as well and love them. Great card. I would never have gotten to masculine ties with that inspiration photo - but you are absolutely right in seeing the connection - it's a wonderful card!! LOVE this! What a fabby guy card.